May 1, 2015 May 1, 2015 / Heidi B. 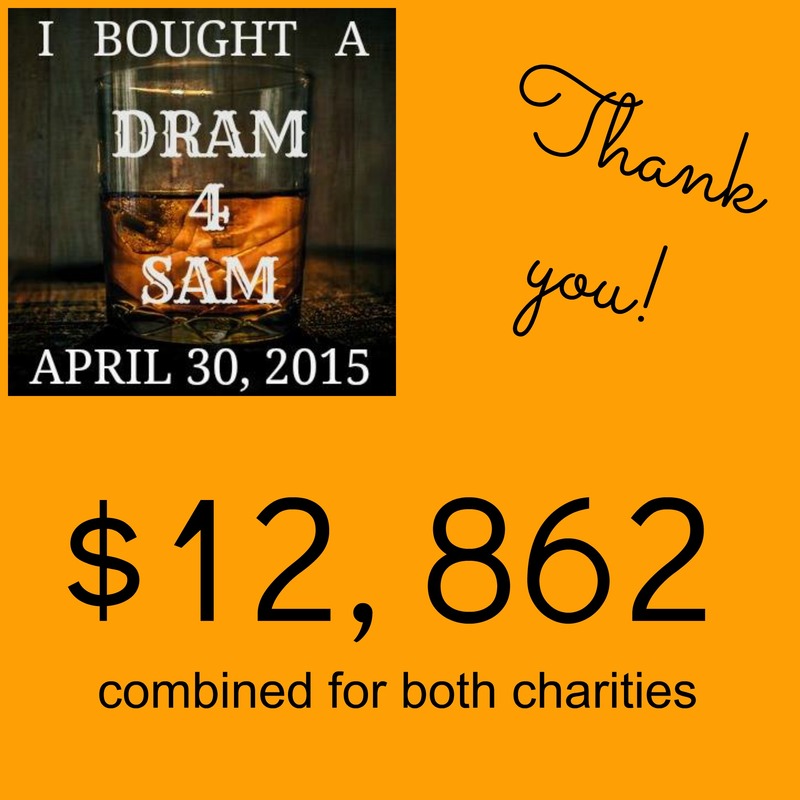 Our gratitude to everyone who donated and participated in the Dram 4 Sam event that ran April 13-30. During those 17 days, Heughligans and Outlander fans donated………drum roll……………………..
Total is broken down like this…$6,811 for Leukaemia & Lymphoma Research and $6,052 for Youth Theatre Arts Scotland. Please read more about it in our official press release here. Thank you again for your generosity. ← Happy 35th Birthday, Sam!